Reddit.com is referred to as the “front page of the internet”; meaning that anything worth a look at on the web ends up here, before it even reaches conventional media (newspapers, TV, etc.). Most of the memes that appear on your Facebook wall, or on your Twitter timeline, have their origins here. Reddit caters to the taste of almost everyone. There are sections (subreddits) that manage a lot of multimedia: videos, text (news articles), and photos. This large community has gained world wide attention; including the POTUS (President of The United States, Barack Obama). Thus, to have a proper idea of the role of the Internet during the first decade of the 21st Century, reddit cannot be ignored. The Snake and The Dragonfly. Both animals are predators. The Jellyfish (not an actual ‘fish’) and the Turtle. Who gets the better end of the deal? 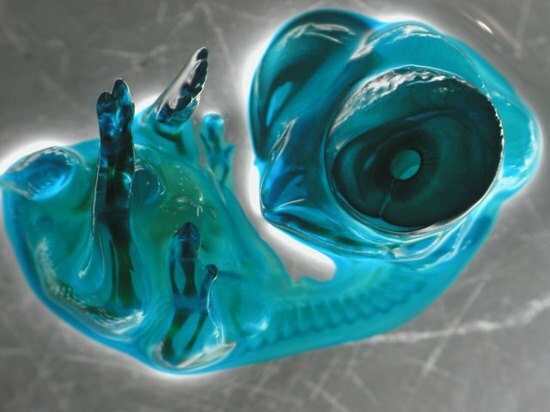 Stereomicroscopy of a chicken embryo (trust me, not rendered nor photoshopped). 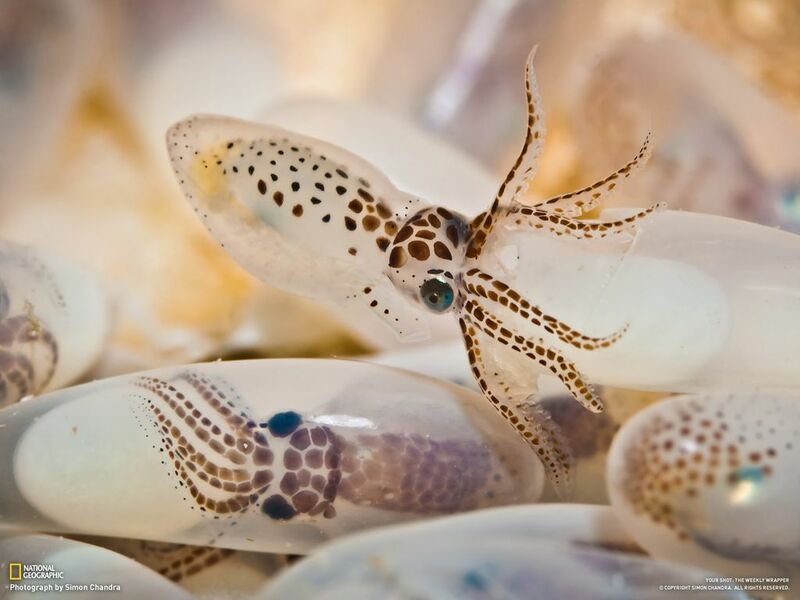 Squids are cephalopods–the geniuses of invertebrates. 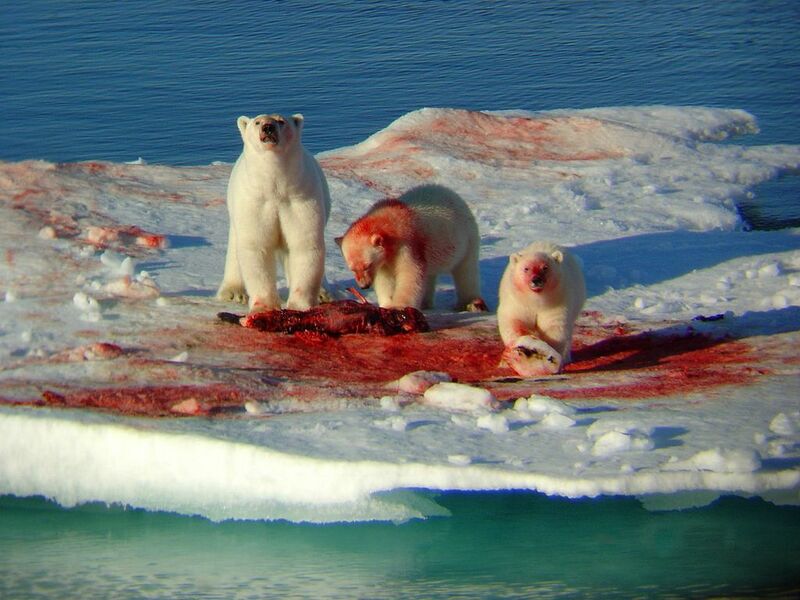 Polar bears at a family picnic. Sea lions are remarkable predators. They have huge canines and incredibly powerful jaws–as shown here. 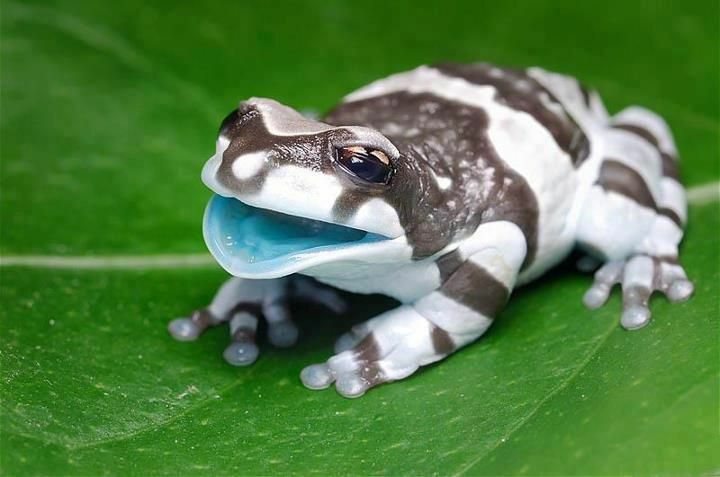 This is a Milk Frog; native to the Amazon Rainforest. Defeated King. 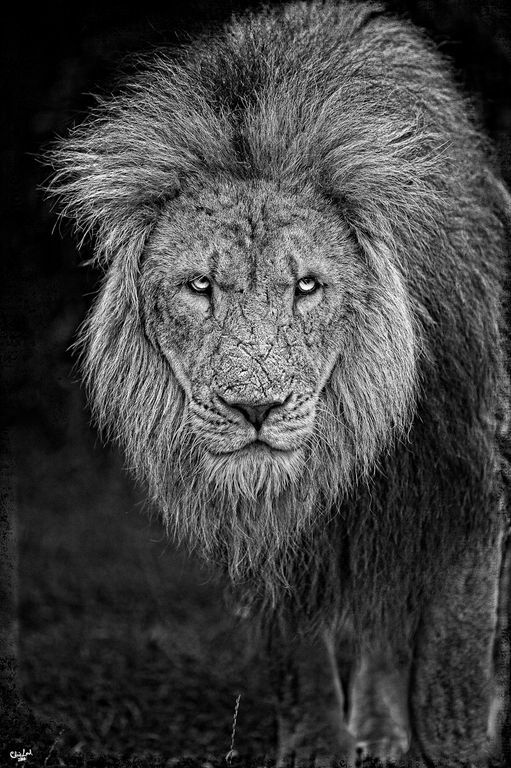 An epic story can be told just by reading the scars of this male African lion–needless to say, an alpha male. 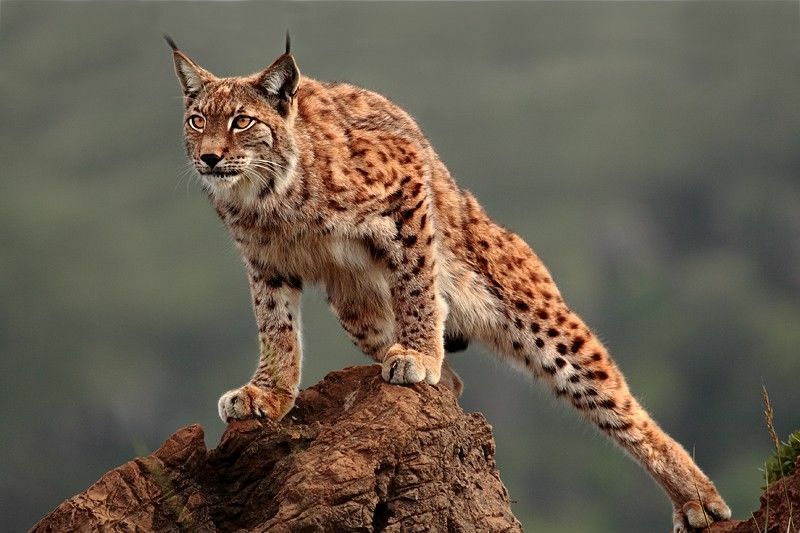 The lynx is an excellent predator. Their habitats include North America; Western, Central, and Eastern Europe; Western, Central, and Eastern Asia. Basically, most of the northern hemisphere of the planet. 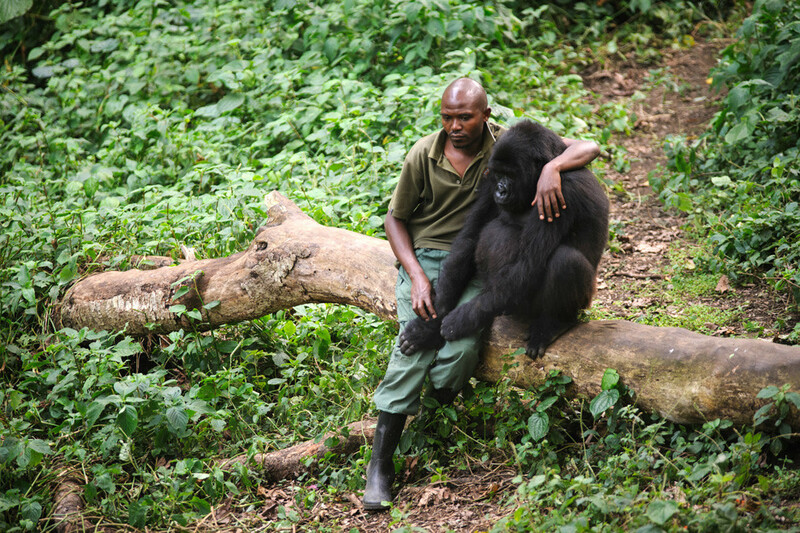 Gorillas are the next closest living relative to humans after the bonobo (pygmy chimp) and the common chimpanzee. The greatest of the great apes (humans included). 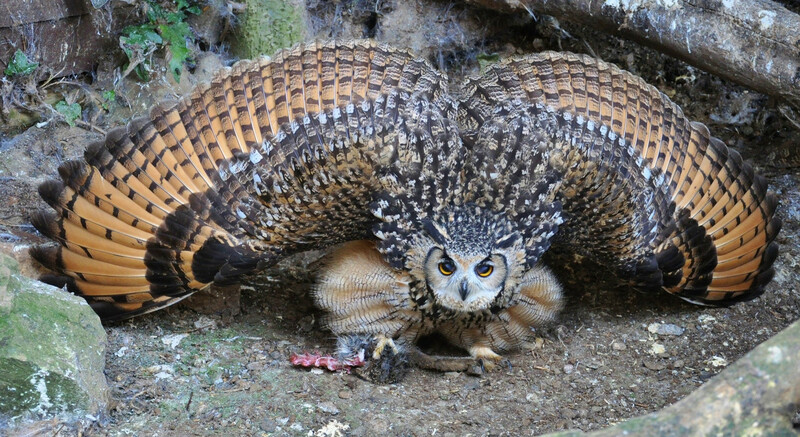 Owls can turn their necks up to 270 degrees. They have tubular eyes, shaped like binoculars. These are great for hunting–owls have great eyesight–but are stationary. To compensate for the lack of eye movement, owls move their heads instead. The bumble bee bat, also known as Kitti’s hog nosed bat, is a vulnerable species of bat that is native to Burma (Southeast Asia). 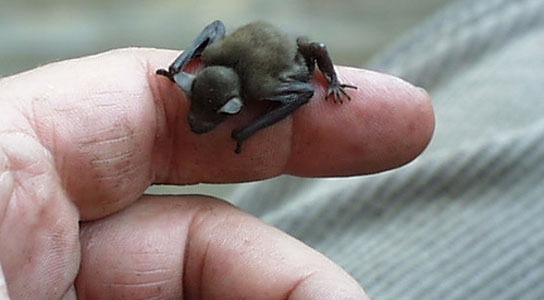 This bat is probably the world’s smallest mammal. Many more images, just as remarkable as these ones, are uploaded daily. They give us a glimpse of the wonderful biodeversity in the animal kingdom–this biodiversity is another piece of evidence that accounts for the success of animals. Suggestions for the growth of this gallery are welcome. Don’t forget to put the hyperlink in the comment section of the post. I expect this gallery to grow with your input (remember to name the animal as well). This entry was tagged animals, Chapter 32: Introduction to Animals, photography. Bookmark the permalink. These are very interesting photos. It’s incredible the quantity of different animals there are in Earth. I had never seen this kind of animals. Although some of them look very dangerous and poisonous, they are very pretty. The regal ring snake called my attention with all its colors. How can these colors make the predators stay away from them? http://bioweb.uwlax.edu/bio203/s2007/akkala_thom/Pic7%20(L).jpg I’ve always found octopuses (octopi?) to be very interesting creatures, they’re smart, can fit into the smallest places, and are fun to look at and excellent at camouflage. To consider the possibility of competition between some of these species, we must first think in terms of their diets and habitats. For starters, polar bears and sea lions share mostly the same diet and a common habitat—the Arctic circle—, so they tend to compete for food in this barren area (even if sea lions may sometimes fall as prey to the polar bears). Squids and jellyfish coexist in coral reefs and share bodily characteristics, such as tentacles and an orifice on the underside (with similar opening sizes), thus they may compete for food that adequately satisfies their physiology. Lynxes and owls, although seemingly different, share the same grounds in the northern hemisphere and may eat small mammals such as mice and may undergo harsh competition for food in the cold months. On the other hand, one would think that the two snake species presented would share a common diet and exhibit competition; however, the water snake’s diet consists primarily of fish and amphibians, while the regal ring snake’s diet consists primarily of smaller snakes. If anything, the water snake should look out for the regal ring snake. As for symbiotic relationships, we can see that the observable case here is between the jellyfish and the turtle: the turtle takes advantage of the harmless topside of the jellyfish (the stingers are on the tentacles, on the underside), positions itself neatly on it, and either rests or drifts along with the jellyfish. 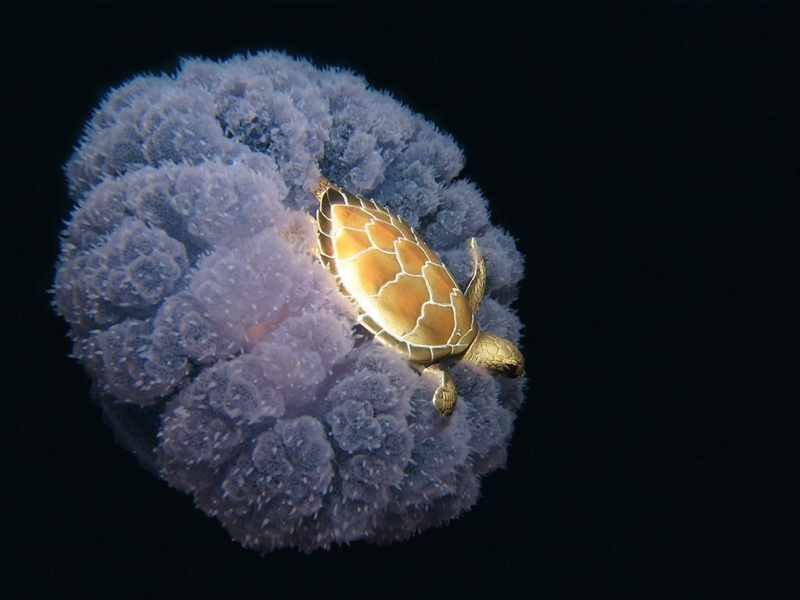 This would be an example of commensalism, for the turtle gains rest and a ride, while the jellyfish obtains no advantage or disadvantage from this symbiosis. Additionally, there are three cases where we can see that the coloration of these animals serves as a tool for survival. As a start, the sea lion’s slick, blue-greyish coat allows it to blend in with the ocean’s surface, making the task of seeking out prey on the water’s surface (such as the penguin) a simpler task. This would be classified as cryptic coloration, for the sea lion’s color serves as camouflage. Lastly, both the regal ring snake and the red frog (perhaps a poison dart frog) have exotic coloring that symbolizes the danger they pose to predators and prey: the latter is poisonous if eaten, and the former is equipped with venom as a defense and offense mechanism. These cases show aposematic coloration, for the exotic colors of these species serve the purpose of warning other animals. For reference: (an arrow pointing towards an organism) means that the energy from the previous organism is transferred to the organism on the pointy end of the arrow; (PP) means primary producer; (PC) means primary consumer; (SC) means secondary consumer; and (TC) means tertiary consumer. The food webs flow in reference to the general species presented in the post. Okay, that didn’t work. Let me try something else. I have created a link to Google Drive where the food webs can be seen. Are human beings ‘apex predators’? symbiotic relationships are very fascinating. usually when we see an organism we think it will do whatever it has to do in order to survive and that usually means not having a “friendly” relationship with another organism. but in this post and in the post of “Animals in the news” we see two symbiotic relationships. one between the jellyfish and the turtle and the other between the bee and the sunflower. the jellyfish serves as a vessel for the turtle to travel and be safe in while the turtle protects the jellyfish from predators who may be threatening to the jellyfish. and in the post of the sunflower and the bee which is my favorite, we see how the sunflower serves as a food source to the bee and the bee serves as a carrier of the sunflower’s pollen and helps them reproduce and helping other flowers grow by jumping from flower to flower with the pollen attached to itself. it is truly fascinating. there are many animals in nature that use their body and pigment as a defense mechanism and this is called defensive coloration. the regal ring snake as seen above, has many vibrant colors and it is simply used as a way to say to other animals “stay away” as also seen in the post above. there are three types of defensive coloration: mimicry coloration, camouflage coloration and the one which this snake uses which is called warning coloration. we don’t really think about how each and every detail in an animal is perfectly made to fit it’s needs and environment. adaptation and evolution are two very mind boggling terms and although the process may be slow, it is pleasurable to observe. The sea lion and the polar bear have huge competition. They both share the exact same environment, this environment becomes smaller every time due to changes in the environment causing the competition to become greater. Rivalry for habitat is one of the most common reasons for competition. The turtle and the jellyfish also have a symbiotic relationship. Although the jellyfish might sometimes be its food it they have a parasitic symbiotic relationship. The Waxy Monkey Leaf Frog uses its coloration for survival. It lives in a forest and it uses its colors to camouflage, thus being more successful. The polar bear also uses its white color to camouflage in the snow and improve its efficiency hunting and surviving attacks. Both owls and regal ring snake could compete for the same resource. Both eat lizards as a normal diet besides other organisms. The turtle and jellyfish account for symbiotic relationship. The jellyfish uses the turtle for transportation because travel in the ocean through the currents, and the turtle benefits from the jellyfish because turtles feed from them also. Defensive coloration as the dictionary.com defines it is the bold, distinctive pattern of colored characteristics of a poisonous or unpalatable organism that functions as a warning to and defense against predators. Defensive coloration may be seen with the regal ring snake, that has really bright colors that scream “stay away”. In the ocean the turtle gets its energy by eating the jellyfish, the sea lion eats the penguin and the squid but the penguin eats the squid also… On land the lynx eats the owl, water snake and dragonfly while the owl eats the snake, dragonfly and the pygmy bat. Also the water snake eats the dragonfly and regal ring snake. Some of the animals in this post that may compete for resources are the polar bear and the lion. They both inhabit regions around the Arctic circle, and when they find themselves in the same region they may compete for the territory which is slowly getting smaller as the ice melts. They may also compete for some basic food resources since they are both carnivorous and there is a limited amount of food supply. We can see a symbiotic relationship when we observe the turtle riding the jellyfish. In this photo we can see that the turtle is using the jellyfish as a form of transportation. Through my observations I would say that this is an example of commensalism, a type of symbiotic relationship in which one animal benefits and the other does not have an advantage or is not at a disadvantage because of the other animal. However, this relationship could turn into a parasitic relationship if the turtle or the jellyfish decide that the other looks like a tasty snack. Defensive coloration is when an animal uses the color of their skin, fur, scales, etc. as a defense mechanism. There are different types of defensive coloration, one of them is aposematic coloration which is a bold, distinctive patter of color characteristic of a poisonous or unpalatable organism that functions as a warning to and defense against predators. An example of aposematic coloration in this post would be the regal ring snake which is a venomous snake. It advertises this fact through it’s bright colors which makes other predators think twice before trying to eat it. Another type of coloration is cryptic coloration which is basically camouflage. We can see this type of coloration when we look at the polar bear who’s “white” fur helps it blend into it’s surroundings. Both the jelly fish and the turtle compete in the same environment for resources even if the jellyfish may be a source of food for the turtle. You may account symbiotic relationships between these two as well, by the turtle riding on top of the jellyfish, using the jellyfish as a method of transportation. 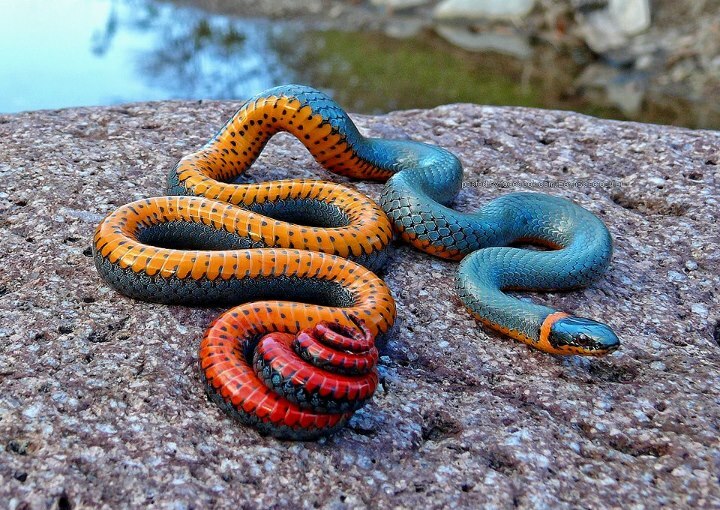 A very good visual example of defensive coloration is the Regal ring snake by having diverse colors startling its predators, leaving the predators with the idea that the snake is poisonous. Turtles and Jellyfish could compete since their habitat is the same and mostly they feed on the same organisms. Another group that may compete is the snake, the owl, and the chicken, these three are found in places all around the world, and they share the same interests when it comes to their food, since they all feed on organisms like worms, mice, etc. The dragonfly, and the Amazon milk frog also compete, they can be found in the Amazon and both of them feed on different insects. Some of these species also exhibit defensive coloration. Snakes have camouflage, as well as turtles, polar bears, lions, lynxes, owls, and bumblebee bats, who’s coloration in a certain way protects and benefits them. Jellyfish also has camouflage, as well as it has signaling, and warning, its coloration might sometimes mean that they’re more dangerous than usual. A regal ring snake’s defensive coloration screams danger, as it exhibits obvious signaling and warning, and sometimes even camouflage. The Amazon milk frog show its defensive coloration consists of camouflage, and certainly, it may seem as it is dangerous or venomous, when it’s not. 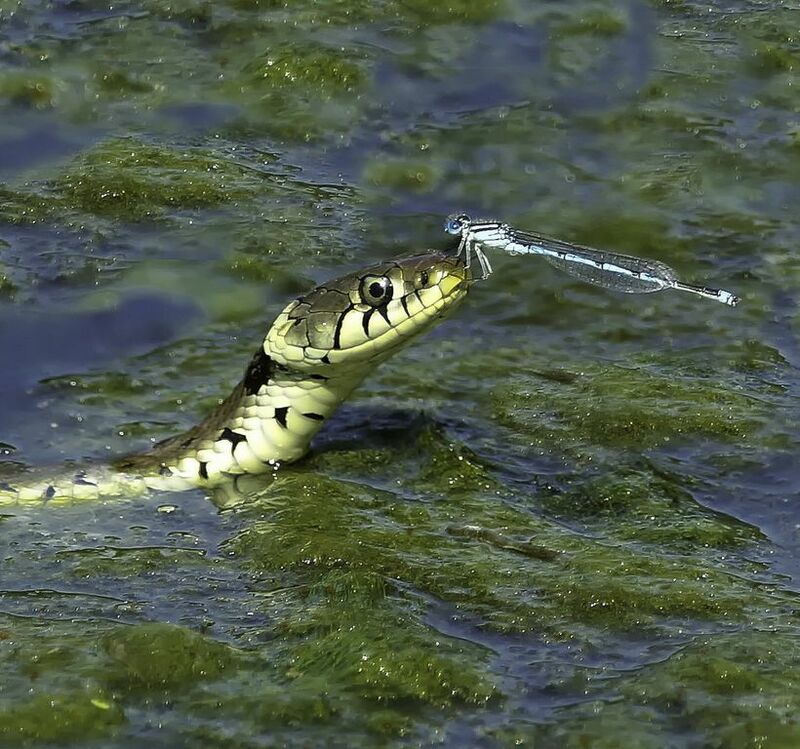 Symbiotic relationships can be seen in the snake with a dragonfly on its nose, and how neither of them gets harmed, or benefit. The turtle and the jellyfish also show a commensalism symbiotic relationship. And the gorilla of course exhibits a symbiotic relationship in its interaction with a human being. The snake and dragonfly would compete for resources since they’re both predators and feed on insects and live in the same environment. Polar bears and sea lions would also compete for resources since they’re also predators and feed on other animals like penguins and also live in the same environment. There is a symbiotic relationship between the sea turtle and the jellyfish since the jellyfish uses the turtle for transportation and the turtle feeds on the jellyfish. The regal ring snake is an example of defensive coloration since it warns other animals about its venom. It is fascinating the diversity of animals our Earth has. Their different colors, sizes and behaviors make each one very particular and unique even though they share some common characteristics and their surrounding. As a consequence, competition exists. From the animals above, I think there would be huge competition between the sea lion and the polar bear because they both share the exact same ecosystem. This ecosystem in endangered right now and reduces everyday in size and population because of the global changes occurring in the weather. They both hunt for the same preys making them huge rivals in nature. Apart from competition, there are also symbiotic relationships between animals, for example the turtle riding the jellyfish. This is commensalism which is a type of symbiotic relation where one organism takes advantage while the other does not get affected. The turtle uses the jellyfish as transportation and it does not affect the jellyfish in any way. There is also defensive coloration and my favorite picture was the one of the regal ring snake. I am a fan of colors and it really caught my attention how an animal can obtain such colors naturally and the way it has purpose. The colors warn predators of the danger it would be to attack him, therefore protecting the animal. The amount of variety that our planet has is incredible. The adaptations that each animal acquires, including behaviors, sizes, and defensive mechanisms, are unique to each one of them. 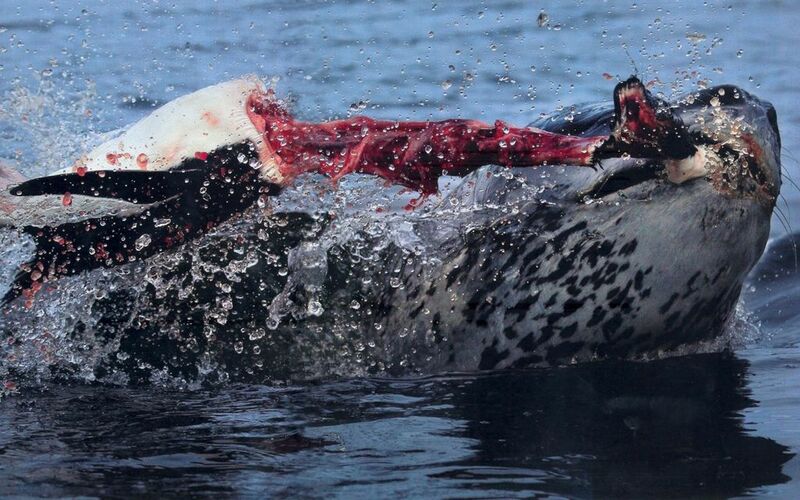 In regards to the blog post, I believe the polar bear and the sea lion would have the most competition since they both live in the Artic circle and both feed on the same prey. The sea turtle and the jellyfish live in the same environment, the sea turtle uses the jellyfish as transportation while not harming one another, which is an example of a commensalism, a type of symbiotic relationship in which one animal takes advantage of the other while not harming it. The picture of the Milk Frog is a perfect example of defensive coloration. The white color of its skin allows it to stand out clearly in the jungle it lives in, as well as its bright blue mouth. 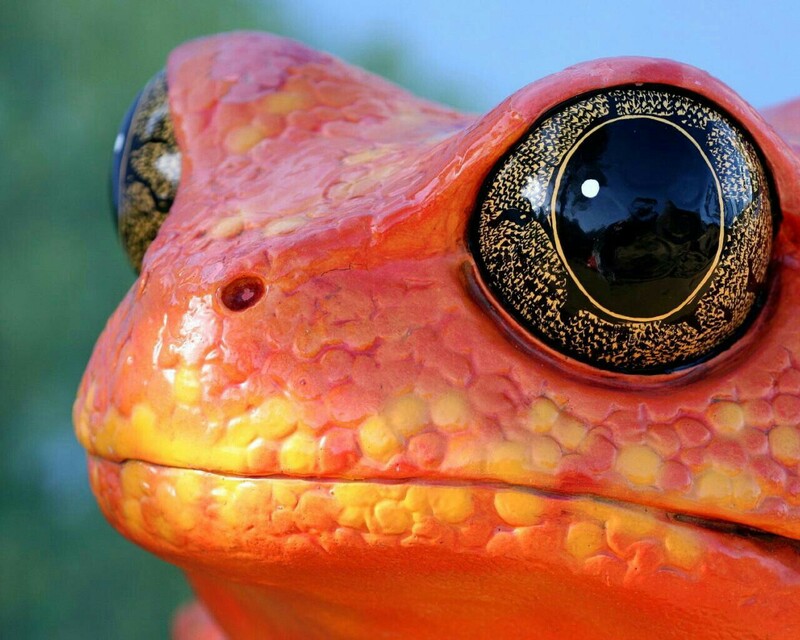 This coloring indicates a presence of poison, that when digested by a predator, who ignores the clear warning given by the frog’s coloring, would potentially make it regret having the little frog for lunch. The Leaf insect is an animal that I thought was interesting enough to add to this gallery because of its rare behavioral trait. Leaf insects use camouflage to take on the appearance of a leaf. They do this so accurately that predators often aren’t able to distinguish them from real leaves. 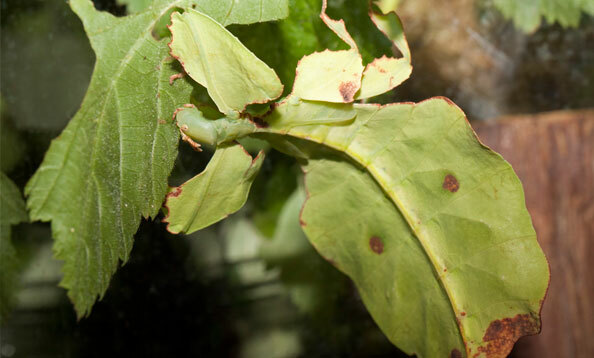 In some species the edge of the leaf insect’s body even has the appearance of bite marks and of a broken leaf. To confuse predators even more, when the leaf insect walks, it moves back and forth, to mimic a real leaf being blown by the wind. I also read and found extremely bizarre that some people say that Leaf insects make good pets… What!